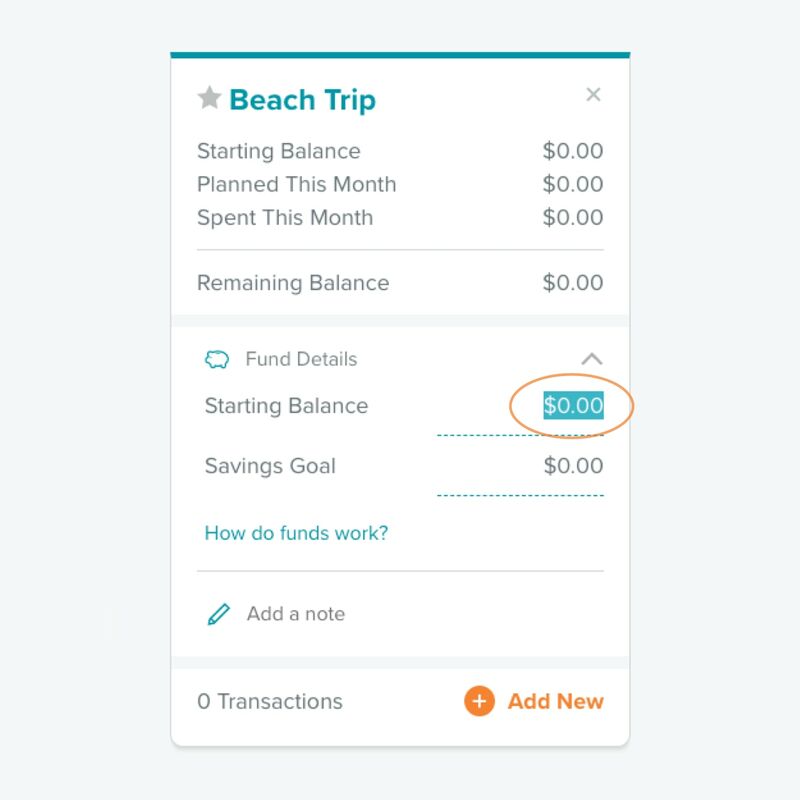 EveryDollar is budgeting made easy. You guys know this. But did you know that creating funds in EveryDollar might just be the key to unlocking your financial future? Here’s why: A budget tells your money what to do each month. A fund tells your money what to do each month and then some. When you set up a fund, you’re saying the category of your choosing is something you want to stash cash into over a period of time. An EveryDollar fund is financial forward thinking at its finest. 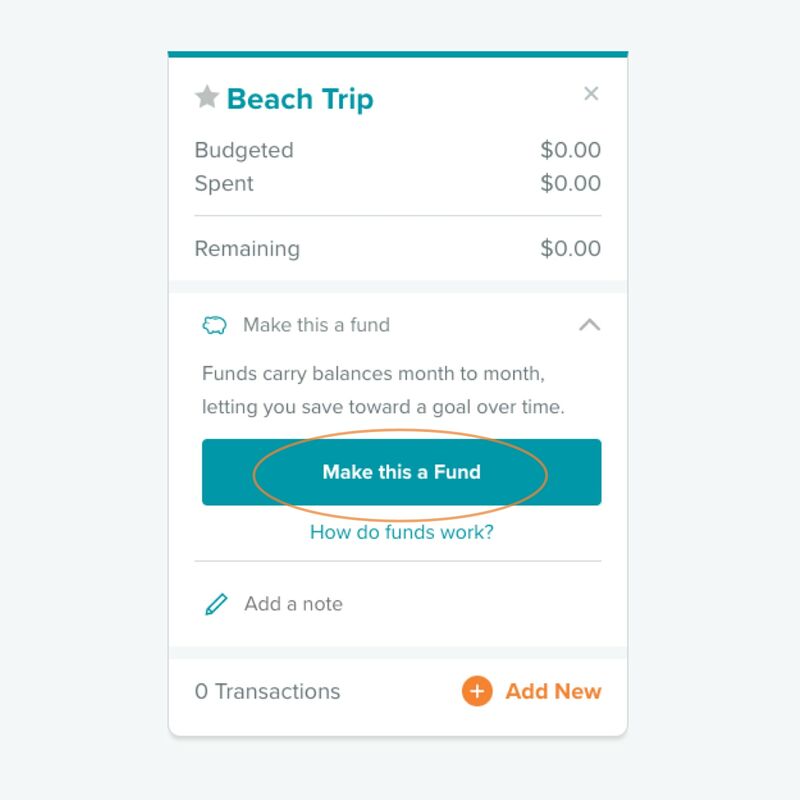 And today we’re going to learn all about this incredible budgeting tool—what funds do, why you might want to give funds a try, and how to easily build funds right into your budget. Funds: What Are They Good For? For example, instead of daydreaming about a backyard pool, you can actively work on installing one by next summer! 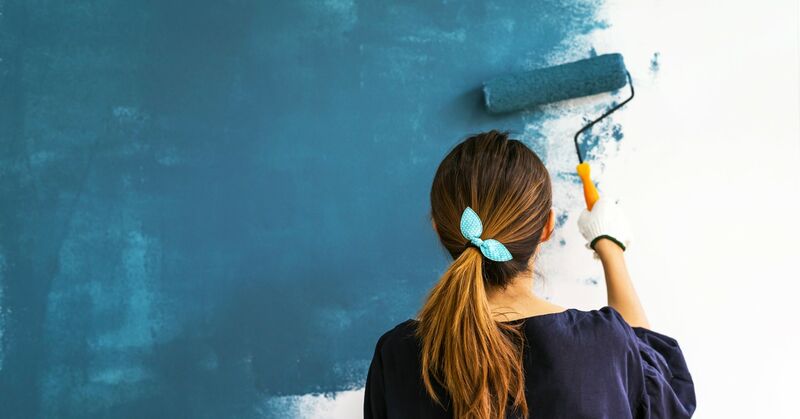 You know these bigger expenses are coming, so be prepared! A yearly insurance bill of nearly $500 doesn’t hurt so much when you put aside $40 every month, now does it? Let’s walk through this step by step. 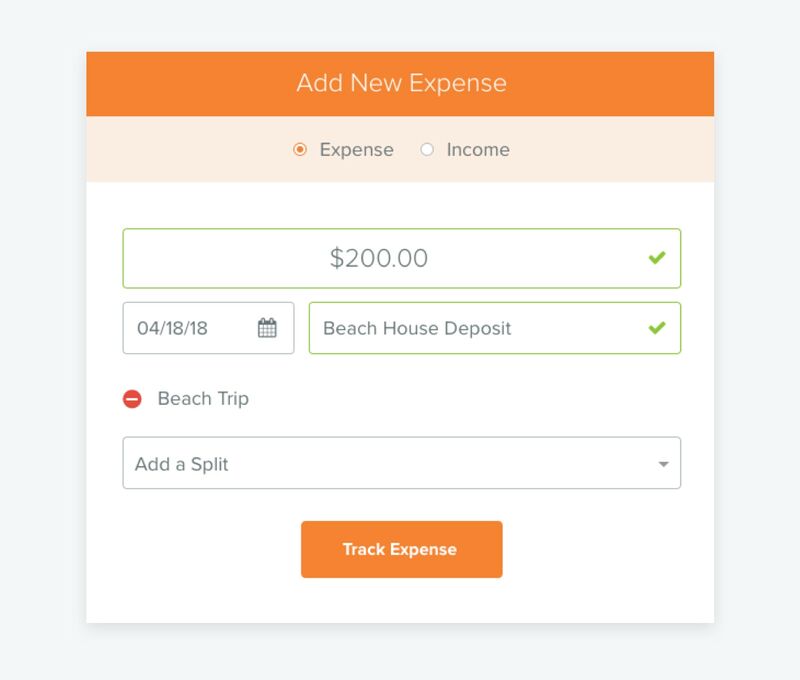 We’re including images for all our visual learners out there, but feel free to pull up your own budget using EveryDollar's desktop version on your computer as we walk through the steps together. For the sake of this guide, why don’t we all save for an $800 trip to the beach with $100 we already saved up. Everybody in? Let’s go! Step 1: Pick which category you want to add your fund to (maybe “Lifestyle” or a new one you create). Step 4: Enter your starting balance of $100. 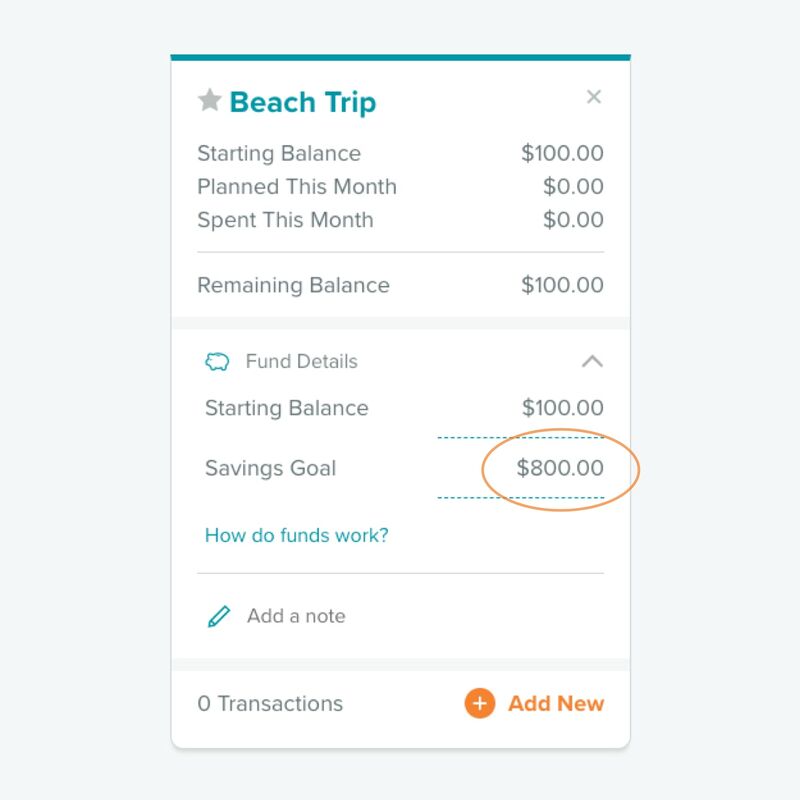 Step 5: Enter your savings goal of $800. You created a fund! You’re one huge step closer to some major relaxation, because this trip is happening, folks. 1. Decide where you’ll store your savings. You might choose to open a second checking or a separate savings account. If so, be sure of two things: 1) the extra account doesn’t cost extra and 2) at the start of every month, you physically move the money over so what you see reflected in EveryDollar matches what’s happening at the bank. 2. Save money toward your goal every month. You’re just $700 away from making those snorkeling and glass-bottom boat tour dreams a reality. Planning a trip in five months? Some quick math tells us you’ll need to set aside $140 in each monthly budget to make it happen, captain. Enter this month’s $140 in the “planned column,” and watch your total fund increase to $240! You just took another sweet leap toward getting your toes in the sand. 3. 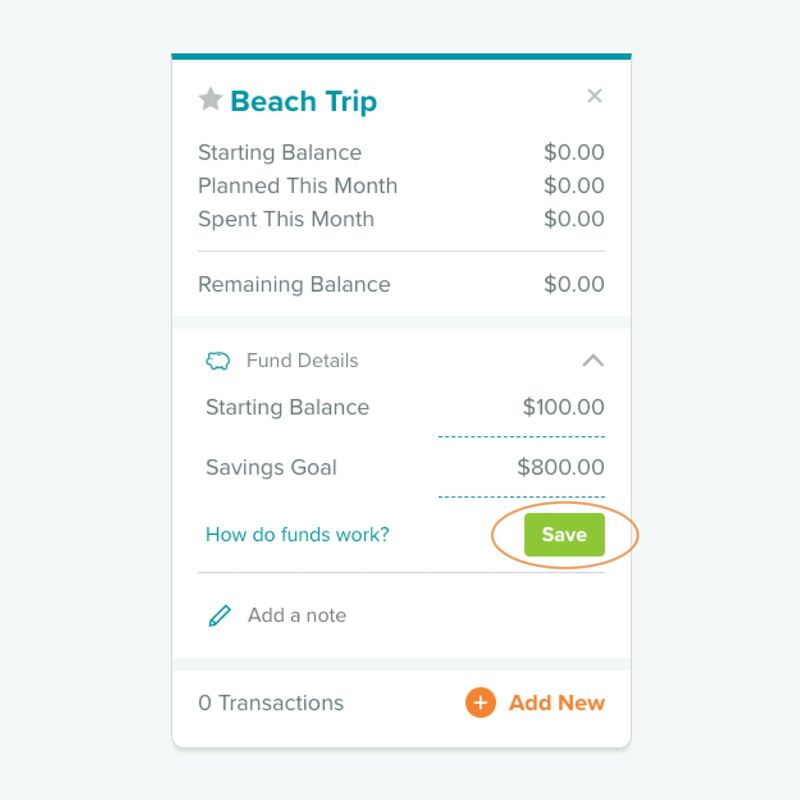 Update your fund in EveryDollar each time you make a purchase related to your goal. When you book a beach house for your stay, be sure to subtract the cost from your fund’s total. 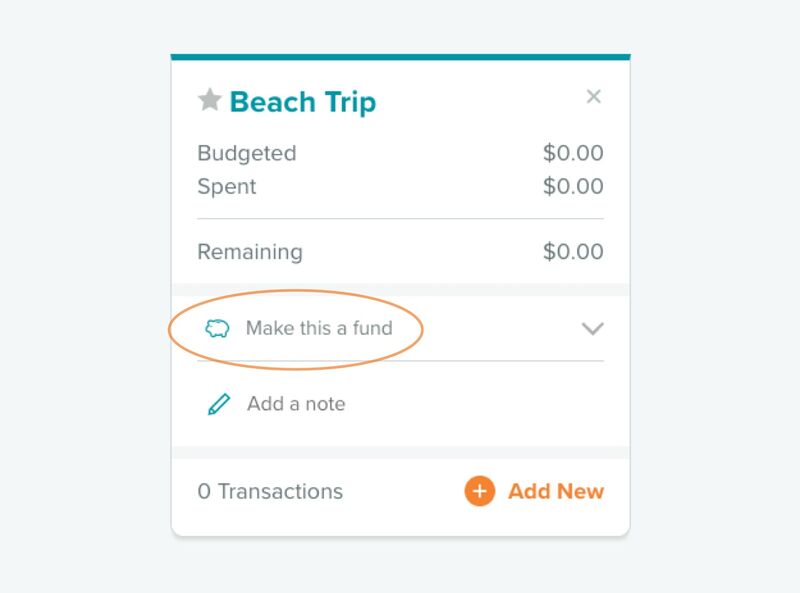 As you add the transaction like any other expense in your app, tap that “Choose Budget Item” dropdown and put a check mark next to your fund’s name! 4. Delete the fund when your trip comes to an end. As soon as that last dreamy picture hits Instagram, pull up EveryDollar and say goodbye to the beach trip fund. But don’t be sad! All that money you were putting toward your getaway every month can now makes its way into a new fund. And you get to decide what it will be! Important Note: Remember that funds in EveryDollar can and should be used to save for all kinds of things. Take a moment to jot down your big money goals for the year as well as any expenses that tend to be unexpected or overlooked. Start setting up funds and knocking out those money goals one at a time. With funds on your side, there’s simply nothing you and your budget can’t do! Create your first EveryDollar fund today!